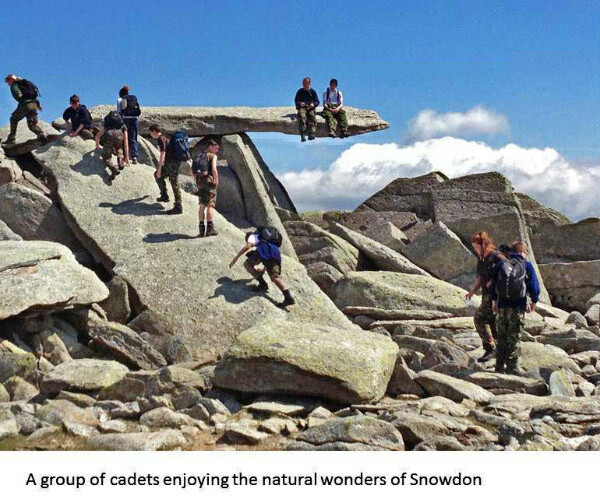 Local cadets from South East London had the exceptional opportunity to partake in a week-long adventure training camp in Wales, during the May school holiday. The cadets moved into Capel Curig Training Camp, nestled in the heart of Snowdonia, to push themselves with rewarding, challenging and exciting activities that many of them would never have had the opportunity of experiencing outside of the Army Cadet Force. 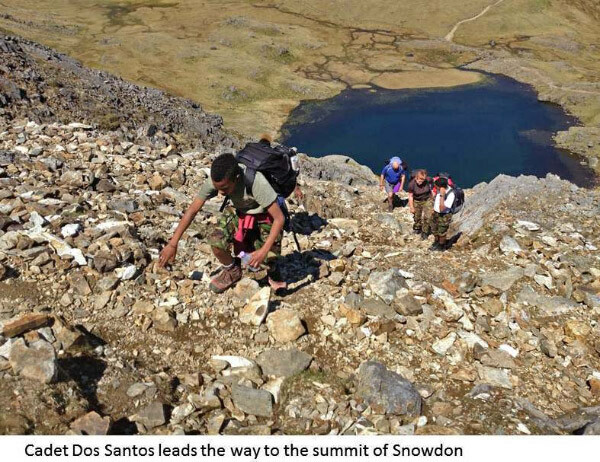 All of the groups had the chance to navigate Snowdon the highest mountain in Wales, working on their team building skills and on their map reading knowledge to reach the 1,085 meter summit. Once the cadets had climbed to the peak, they were amazed by the breath-taking views that are impossible to imagine from their inner city areas. 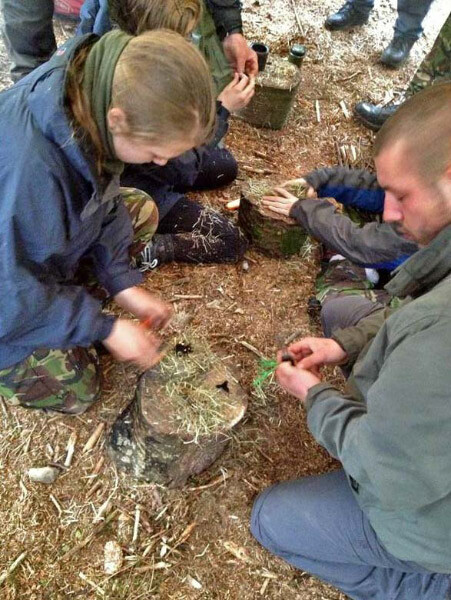 A new survival package was used for the first time in adventure training within South East London Army Cadet Force – they camped out overnight and learnt how to gut fish, cook on an open fire, forage for local berries and plants and carve wood into tent pegs and other objects. 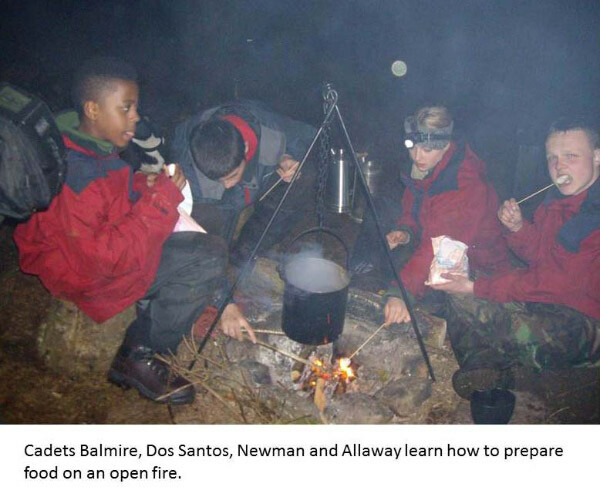 Although the cadets, as part of their normal training, camp out and learn to cook, the experienced instructors gave the survival night a more in-depth taste. Another activity that the cadets enjoyed was the coasteering, which involves a combination of climbing and swimming around the sea coastline. Gorge walking was also popular, scrambling up a gorge, and the opportunity to jump off of waterfalls. Both activities offered the adventurous teenagers the chance to throw themselves into some wet, adrenaline, fun. Coasteering and Gorge Walking have both been very successful in building the confidence of cadets who are normally uncomfortable with water activities, by helping them to overcome their fears in a safe and secure environment. This year also gave everyone the chance to have Kayaking taster days, with some cadets gaining Kayaking qualifications. From this taster session many cadets have shown a strong interest in water sports and a few in gaining advance qualifications in kayaking. The action-packed week away was a great success with all cadets thoroughly enjoying themselves and even inspired the Adult Instructors in working towards adventure training qualifications. Sadly opportunities like this week away are very few and far due to finances: this fantastic trip would of been unattainable without the funding and support from the Ulysses Trust.